The SpitJack Rotisserie Brasserie serves locally sourced, quality produce cooked on our rotisserie. 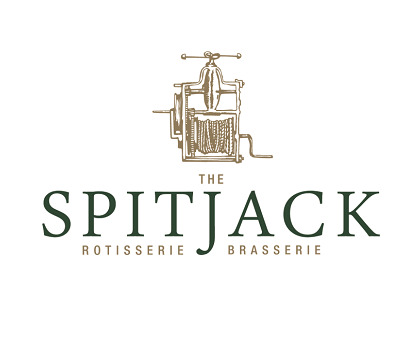 The SpitJack is an upmarket, all day brasserie that serves breakfast, brunch, lunch, afternoon tea an dinner. Only one of our table of 10 had been there before. All 10 is us are going back again. We were having a pre-theatre meal, 4 friends on a night out. We had the two course early bird menu and with a very reasonable price there was no reduction in quality, taste or service only the very affordable price. Thank you Spitjack we’ll be back. Lovely evening at The Spit Jack. Food was great. Had Rotisserie Chicken which was very tasty but I felt it was a fraction over priced but what I thought was really expensive was Malbec at €8.50 per glass. Staff were great and Sarah was lovely and clearly passionate for her job and her colleagues which was nice to see. some people in our group though the food could have been a little hotter. 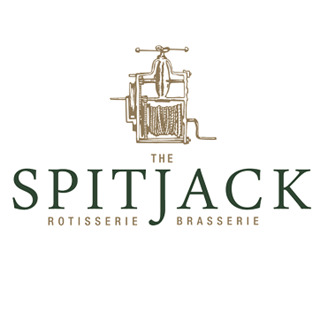 Thoroughly enjoyed our meal and experience and SpitJack. We were served by Nicola who  was so friendly and helpful with answering our questions about the menu. It very busy yet we did not feel rushed. She was so professional. It was a lovely relaxed experience. We will be back! Excellent service. Really lovely menu and delicious food. Great value for money! The service was great, so was the food. Charming staff, lovely environment and great menu. The loos were some of the best I’ve ever used - beautiful and clean . A big thank you to the staff for the surprise at the end of our meal after an off the cuff comment about birthdays a very enjoyable evening. Overrated. I ordered the ribs with Caesar salad and chips. The salad was barely dressed, might as well have had just leaves. The lemon posset was outrageously expensive for something that was so underwhelming. However the chicken croquettes were lovely, the wine was lovely and the service was good and the food arrived quickly. Still disgusted at the price in comparison to the food, have not recommended to anyone and doubt we will in the future. We had a group of 11 coming for a consortium meeting and decided to book the Spitjack Rotisserie for dinner. Service was quick and efficient, the menu offers good choice and the food was delicious and good value for money. The room was fairly busy but not too noisy. The portions are more than generous - some of us were struggling to finish the plate. All in all, all good! Continuously come here for all different occasions and highly recommend it to anyone. Absolutely outstanding service from staff and food is cooked and served to perfection. Had a lovely evening catching up with friends in a relaxed environment with great food and friendly efficient service. Would highly recommend SpitJack. Just one little negative. After our meal we were waiting around for our coats. We were totally ignored and had to get them ourselves. Good job I had spotted them when coming back from the toilets. I thought the menu was a bit 'ordinary' and the portions on some of the dishes were small..   My French onion soup tasted nice, plenty of onions but there was VERY LITTLE cheese in same.. it's not PROPER FRENCH onion soup unless there is a lot of cheese melted on top of some THICK crusty bread. It was the worst soup I've ever had. the Peanut desert was too filling.. I could not eat all of it and neither could my friend eat hers. We did not like it that much. The staff are so nice and they were very respectful in allowing us to pass them and allow us through a doorway first etc.. Such good manners and such lovely smiles too. I was there a few months ago and the menu seemed the same. Hope it changes somewhat! Love the ambience of the restaurant.